Superdry women's Superflex skinny jeans from the Premium Denim range. Combining style and comfort, the Superflex skinny jeans are a must have update to your denim collection. 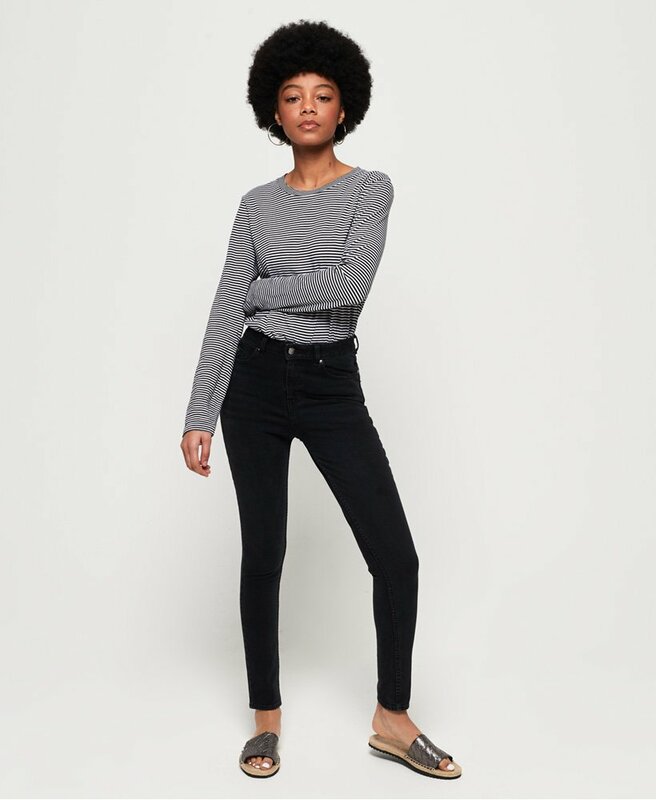 These high rise skinny jeans have been crafted using Dual Flex technology, providing 360 degree stretch, ideal for if you're a fan of the spray on skinny trend. Thanks to their body shaping elasticity, these jeans offer a push-up effect while retaining their shape, making saggy knees a thing of the past. With the classic five pocket design, zip fly and belt loops, these jeans have been completed with a metal logo badge on the coin pocket and logo patch on the rear of the waistband.